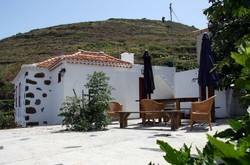 Casa Lourdes is a lovely casa rural (rural house) with its own swimming pool. 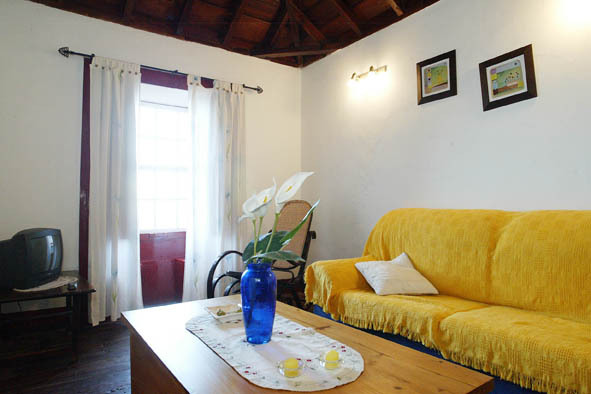 Situated just 17km from the historic capital of Santa Cruz de La Palma, 7 km from the village of Puntallana to the south and 8km from the small town of Los Sauces to the north it is extremely handy for all amenities. 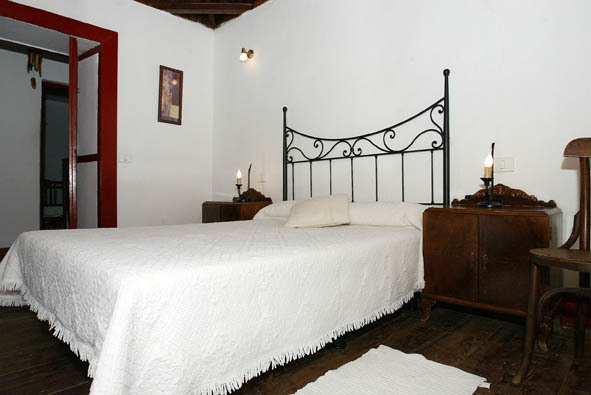 Built in the traditional Canarian style around 1918, this spacious family house can sleep up to four people in two separate bedrooms. It's a fantastic holiday home for families as well as couples with plenty of exploring and walking nearby plus sea pools and beaches. It stands in an impressive position overlooking the sea and surrounded by orchards of mango and avocado trees along with banana plantations. 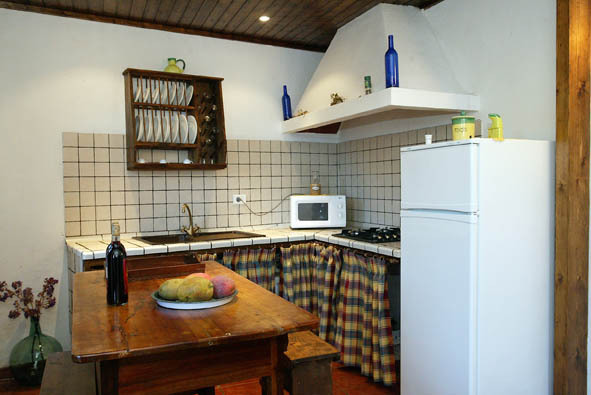 In addition to the two bedrooms, there is a lovely rustic kitchen, a separate lounge with television and a spacious bathroom. 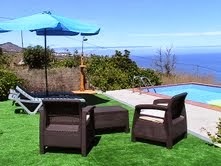 New garden furniture has recently been added to the pool-side terrace - fabulous for relaxing and enjoying the sea view. 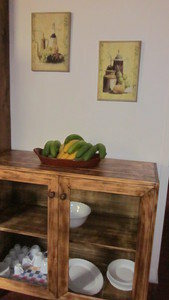 The lounge has a comfortable settee, rocking chair, original wooden window seats and television. The kitchen-diner has every convenience including a 4-ring gas hob, microwave, fridge/freezer, coffee maker and electric juicer. There is also a washing machine, ironing board and iron available. The main bedroom has been lovingly restored retaining original features such as the wooden window seats - a great place to sit and look out over the sea! 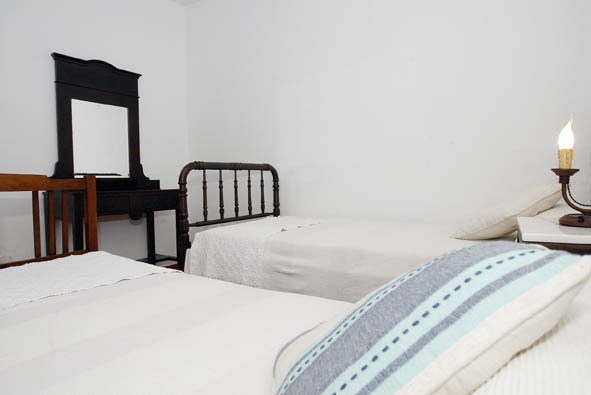 The second bedroom has twin beds and is across the corridor to the main bedroom - great for families or two couples. 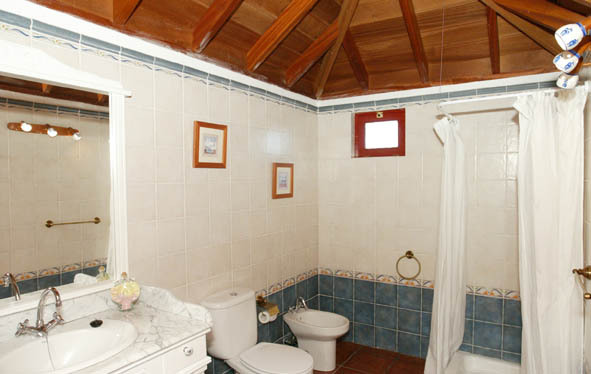 The bathroom, a new addition to the house, is furnished with modern fittings including shower and bidet. Outside, the large terrace complete with patio furniture has a wonderful view over the surrounding countryside and the sea. It's a fabulous place to sit in privacy, relax and unwind. For those interested in astronomy, this is a very useful space for observing the clear skies of La Palma. 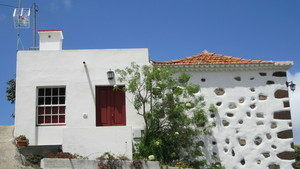 Also, the nearby San Bartolomé is one of La Palma's natural viewpoints for astronomy. 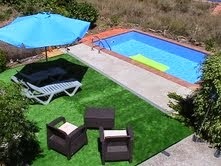 As an added extra, Casa Lourdes has a 6m x 3m private swimming pool for you enjoy, truly a bonus for a casa rural! 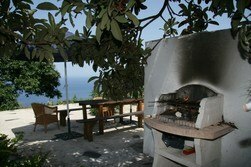 For living the outdoor life and dining al fresco there is also a built in BBQ. 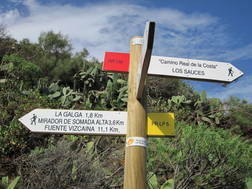 For walking and trekking, the GR130 Camino Real walking route around La Palma is nearby. 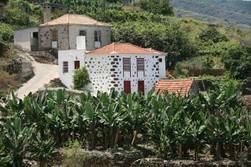 This ancient route links the hamlets, villages and towns of La Palma, passing through beautiful countryside. Minimum house rental is four nights. To make a booking or enquiry, contact us! 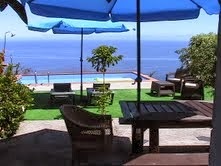 For car hire on La Palma: click here.